AMD used its first keynote address at CES to formally announce its next GPU, the Radeon VII, as well as its 3rd-generation Ryzen processor. Both will ship this year using the 7nm manufacturing process, giving AMD the technological edge over Nvidia and Intel in the war for ever-shrinking chips. 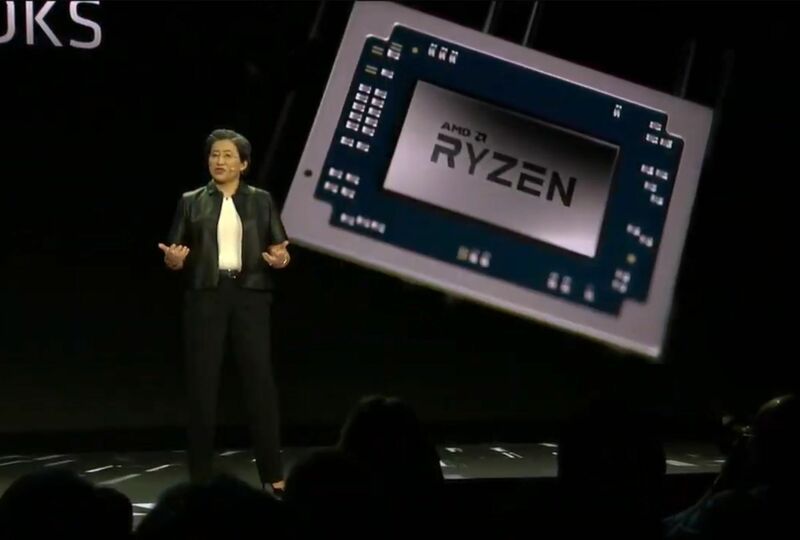 The keynote by AMD chief executive Lisa Su initially paled in terms of new announcements to Intel’s own 10nm keynote blitz a day before. 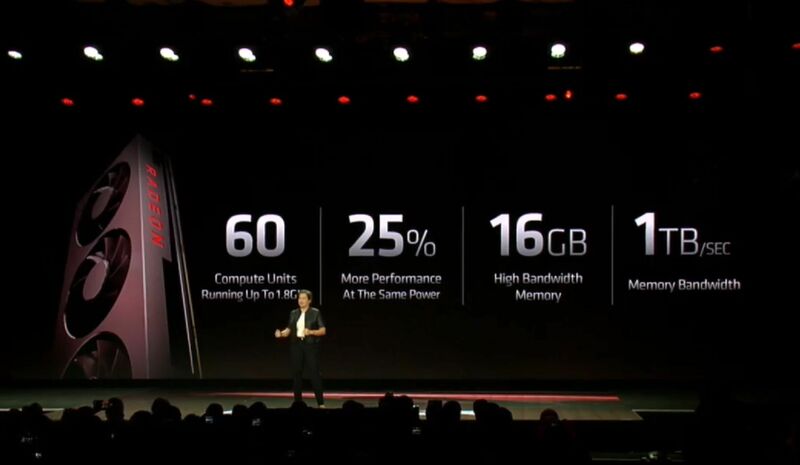 But it ended strong, with the smaller, finer 7nm technology the focus of Su’s speech. 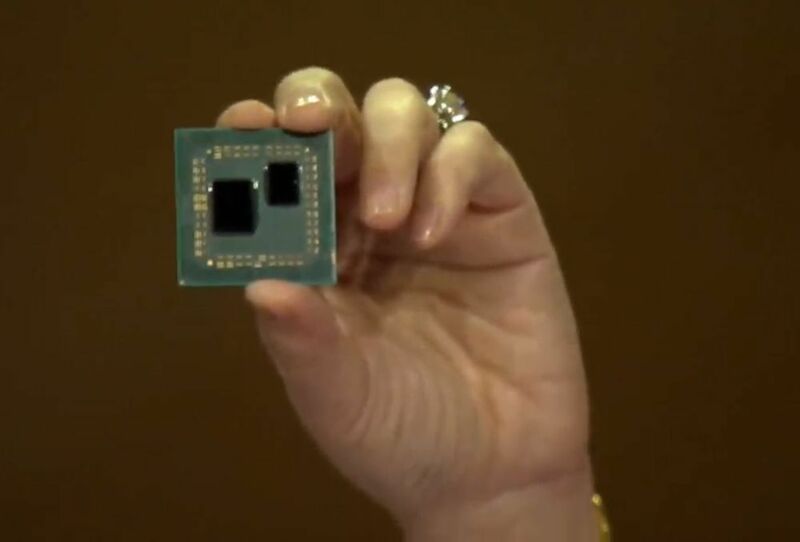 It’s already been a busy show for AMD, which already announced new mobile chips and its first foray into Chromebooks earlier in the week. “When we look as an industry, what really excites us how do we deliver all that computing performance is how we keep on that trendlines...it’s going to require new approaches, and new innovation and is a tremendous opportunity for all of us to deliver new leaders,” Su said. Content creation is primarily done on the PC, and AMD created Threadripper as a response to it. Su claimed that Threadripper was the most popular high-performance processor, and for those performance users, “Threadripper is a game-changer,” she said, and played a strong endorsement by Fox VFX backing the processor. About 160 million notebooks will be sold this year, many of them ultrathin notebooks, and Su recapped some of the earlier 2nd-gen mobile Ryzen announcements. Modern Windows PCs includes features like the ability to wake it using your voice, 4K streaming, and all-day battery life, and AMD designed its Ryzen chips to support those. AMD will also be powering its first Chromebooks. 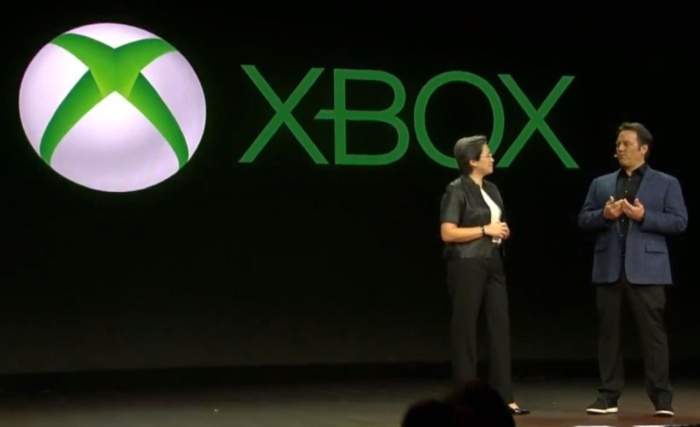 AMD is the only company delivering CPUs and GPUS for console as well as PCs. Over 400 million gamers play on AMD Radeon graphics, and a lot of them are playing esports; Su said the top five games played on AMD’s GPUs are all competitive titles. The founder of esports team Fnatic appeared on stage to remind gamers what esports prioritizes: 1080p resolution and 144Hz or higher refresh rates, with as low of a latency as possible. Speed. Su also showed off Project Stream, Google’s effort to bring high-perfomance gaming to the browser, and announced that Radeon Pro GPUs would be used to power the back-end cloud. Moving onto discrete graphics, Su then called out the Radeon RX 590, which PCWorld recently crowned the new 1080p gaming champion. Radeon Software, the supporting software app, has been improved with features like streaming to a phone or VR headset. It’s great. 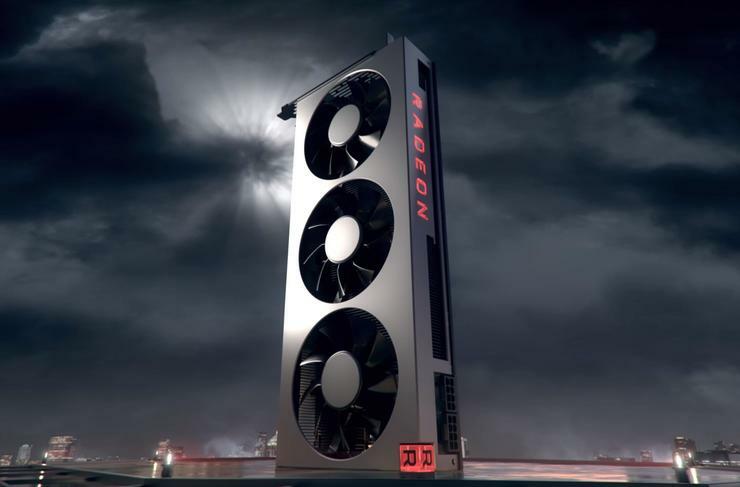 But AMD saved its best for last, with the announcement of its next Radeon GPU, Radeon VII. The memory has been dramatically increased as well, with 16 GB of integrated memory, 1 terabyte of memory bandwidth and 30 percent more performance in content creation. This card should scream in GPU compute tasks. 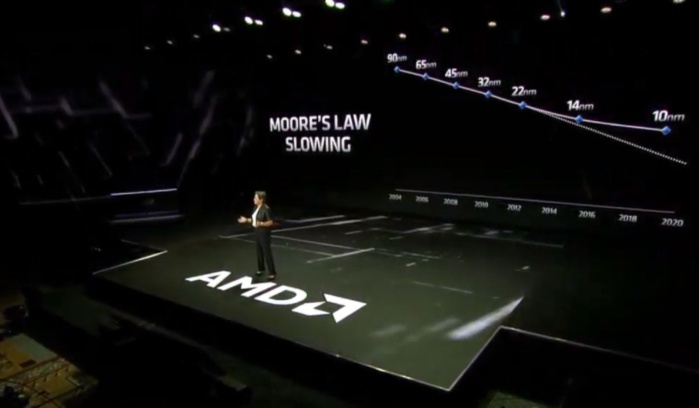 AMD also provided some slides with harder performance numbers. Radeon VII looks to be significantly faster than the original Vega 64. Su also showed the new Radeon trading blows with Nvidia’s $700 GeForce RTX 2080 in Battlefield V in DirectX 12 and Far Cry 5 in DX11, and blowing past it in Strange Brigade’s Vulkan modes. Those games tend to favor AMD titles though, so wait for independent testing to confirm the new graphics card’s place in the gaming world. The Radeon VII will cost $699 when it launches on February 7, and AMD will also toss in three free games—The Division 2, Devil May Cry 5, and Resident Evil 2—when you buy one. The 3rd-gen Ryzen architecture is powered by the Zen 2 core, and as desktop processor it “wlll absolutely set the bar for performance and power efficiency, “ Su said. 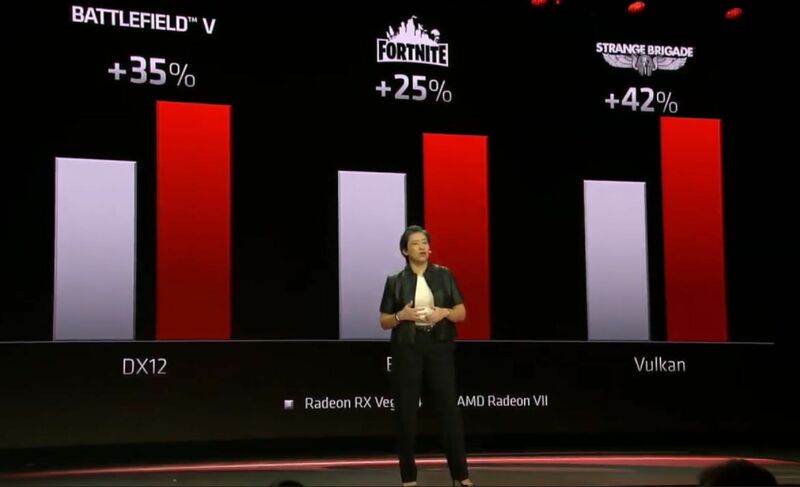 AMD showed off Forza Horizon 4 with the 3rd-gen Ryzen and Radeon Vega VII at more than 100 frames per second. 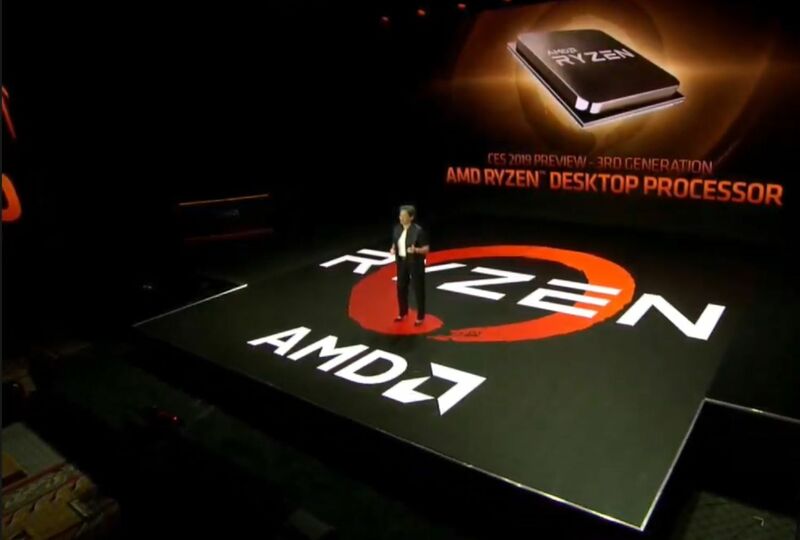 It was a “preview” of the next-gen Ryzen chip, Su said. In a comparison against the Core i9-9900K, using the new 8-core, 16-thread Ryzen (but not at the final shipping frequency) AMD performed a live Cinebench test on stage. The Core i9-9900K returned a score of 2040, while the Ryzen 3 reported 2057, and with significantly less power draw.